The death of two police officers in Mississippi are the most recent in a string of horrific officer casualties throughout the U.S., highlighting an ongoing debate about authority and race relations. Officers Benjamin Deen and Liquori Tate, from Hattiesburg, Mississippi, were shot and killed while making a traffic stop Saturday evening. Police have since arrested and charged three people with capital murder, grand theft auto, and felony possession of a firearm, among other charges. Despite the fact that Deen and Tate's deaths were the first officer fatalities in Hattiesburg in 30 years, data shows Mississippi has one of the highest police fatality rates in the U.S., making Hattiesburg a bit out of the ordinary for the state. Nationally, firearm-related deaths for police officers have increased 45 percent, from 33 deaths in 2013 to 48 last year, according to the National Law Enforcement Officers Memorial Fund. 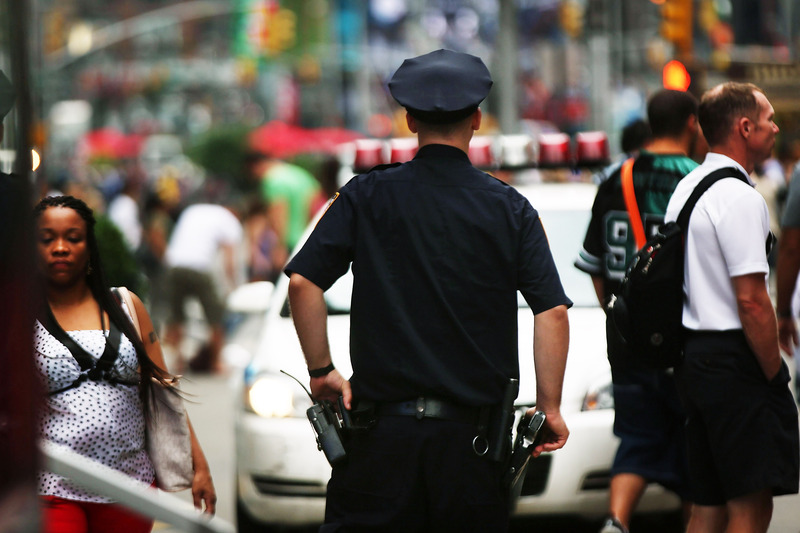 The leading cause of death for police officers is traffic-related incidents. According to the Federal Bureau of Investigation, 27 of the total 76 law enforcement officer fatalities in 2013 were felonious deaths, meaning they died as the result of criminal acts or while pursuing criminals. Fifteen of the felonious deaths occurred in the South, six in the West, four in the Midwest, and two in the Northeast. According to Governing.com, Mississippi has one of the highest average annual rates for police fatalities over the last five years, with the state average at 8.2 deaths per 50,000 officers, and a total of 12 deaths from 2008 to 2012, which ranks it fourth, nationally. The last officer killed in the line of duty in Hattiesburg was Sergeant Jacquelyn Sherrill, 33, who was shot and killed in 1984 by a suspect who was resisting arrest, according to the Officer Down Memorial Page. Sherrill was in plainclothes when she saw three officers trying to apprehend a suspect who had a warrant out for his arrest. She attempted to help the other officers arrest the suspect when he took one of the officer's weapons and fired three shots, one of which killed Sherrill. The suspect is in prison for life, according to ODMP. A total of six Hattiesburg police officers have died in the line of duty since 1952. Of the departments across Mississippi, the Jackson Police Department has lost the most officers. A total of 18 Jackson officers have been killed in the line of duty, dating all the way back to 1893, with the two most recent deaths in 2013, according to ODMP.